There are also nice discounts on Caudalie products, including the Divine Legs (see rave review here) and one of my favourite refreshing eye creams, the SOS Morning Rescue (here). 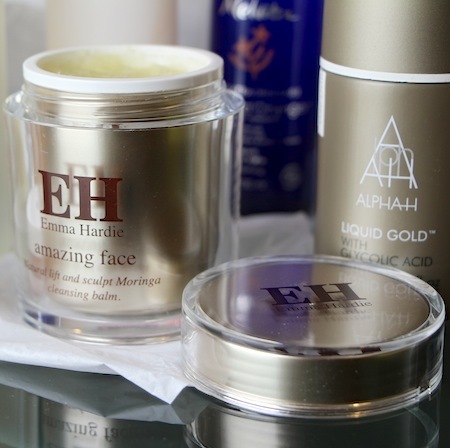 There’s a just over a fiver off on the Emma Hardie Amazing Face Moringa Cleansing Balm, too. I couldn’t love this cleanser (pictured above) more and you probably know that, by now, seeing as though I’ve harped on about it countless times. It’s in my top ten (probably top five) skincare products and is one of the most luxurious cleansing experiences that you can create. The balm is down to £28.90 here. Other picks from FeelUnique include the Extraordinary waters from Melvita (here) and the Ultra Light Moisture Milk from Elemental Herbology, which is reviewed here. I really, really rate it as a lightweight hydrator for combi/oily skin so do give the review a little read if you’re on the lookout for something similar. Find it in the sale here. 3) Also pictured above, Alpha-H’s Liquid Gold. A swipe-on-and-leave glycolic acid exfoliant that brightens the skin almost from the first use and is just beautiful in its simplicity. No frills, no pleasant fragrance, just a treatment that works. 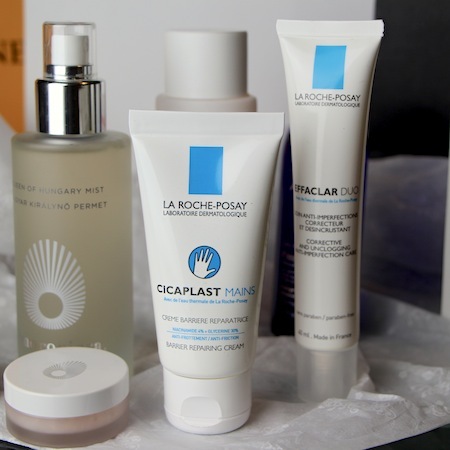 It’s a bit of an all-rounder, in terms of helping to fix skin complaints – fine lines, large pores, sun damage – and although there are more advanced ingredients and higher-performing products out there, you won’t find many of them coming in at this price. Just over thirty quid gets you a bottle that will last you almost a year, (depending on how generously you soak the cotton pad!) 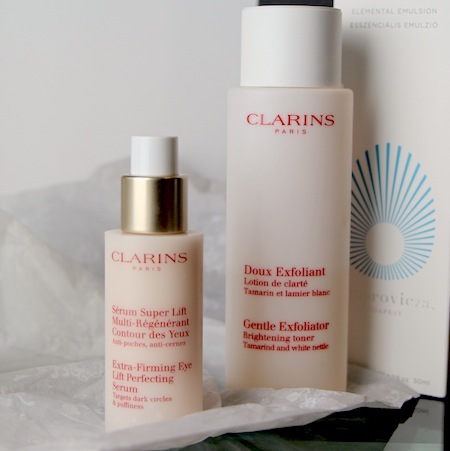 but BeautyExpert have gone one further and are offering two 100ml bottles for £39.99. You can find the deal here. 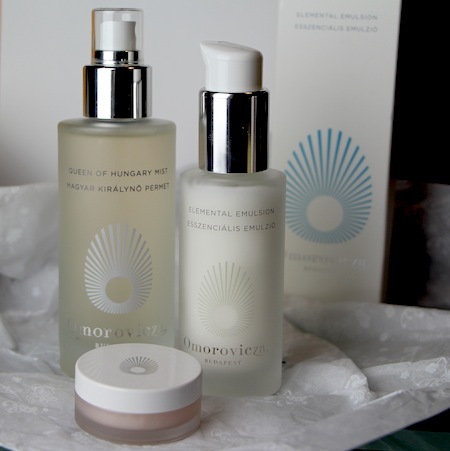 4) And then to one of my favourite luxury brands, Omorovicza. There’s no sale, here, but they are offering A Model Recommends readers a 15% discount on my most-used products. 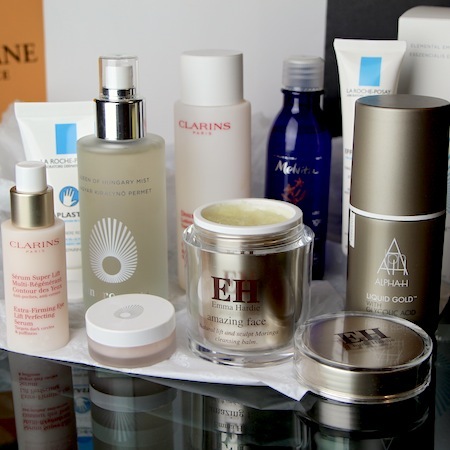 So that’s the Deep Cleansing Mask, the Queen of Hungary Mist, the Elemental Emulsion and the Perfecting Lip Balm. The lip balm, for me, is right up there with Sisley’s – juicy, plumpy and ridiculously luxe. It’s not greasy or sticky and it works well to prep the lips before colour. Find it here. The Deep Cleansing Mask has been in my top ten products (read them here) since the very first time I used it. It’s very powerful indeed – a proper “red carpet mask”. My full review is here, you can find it on Omorovicza’s site here. For many, many declarations of love with regards to the Queen of Hungary Mist you need only to type that very term into the search box – it’s about as good as mists can get. There are few products that make me so instantly happy – that are so immediately uplifting – and I think that it’s worth every penny. Formulated with the Hungarian Thermal Water that Omorovicza bases the skincare range on, the mist can be used as a spritz, a toner, a cool-down – whatever you like; but it comes into its own as part of a home facial. Spray it on before a mask, after a mask, before moisturising – it takes the DIY spa experience to a whole new level! You can find it here. There will be a full review of the Elemental Emulsion moisturiser next week, but know this: it is light and gorgeous and unbelievably hydrating. You probably use half, or even a third, of what you’d use of a thicker moisturiser so (watch me justify this to myself) really it’s an “under fifty quid” moisturiser. (OK, it’s £76.50 after discount; but honestly, if you can get your paws on one then I doubt you’ll regret it!) More on this next week, but if you’re desperate for details then the page is here. Code valid from 3rd Jan – 31st Jan, 2014 and cannot be combined with any other discount or promotional code.